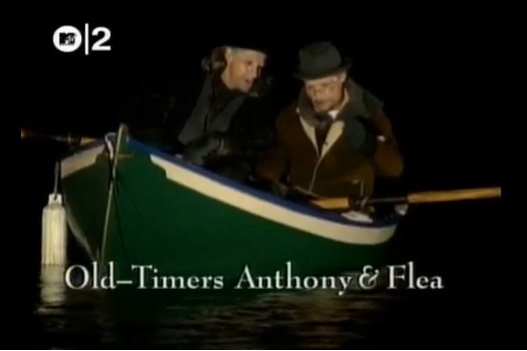 Broadcast: New Years Eve 1993. 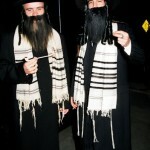 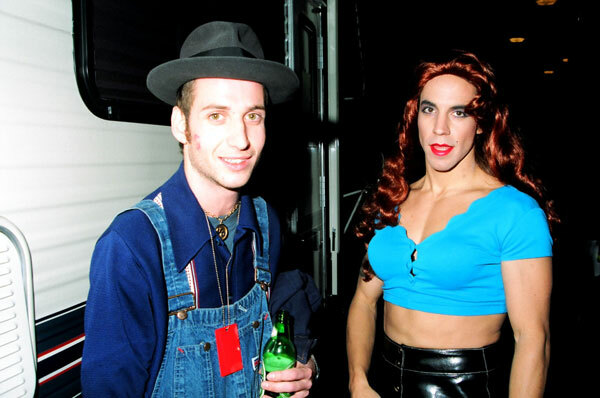 Hosts: Anthony Kiedis & Flea of the Red Hot Chili Peppers; the pair dressed up to host the show. 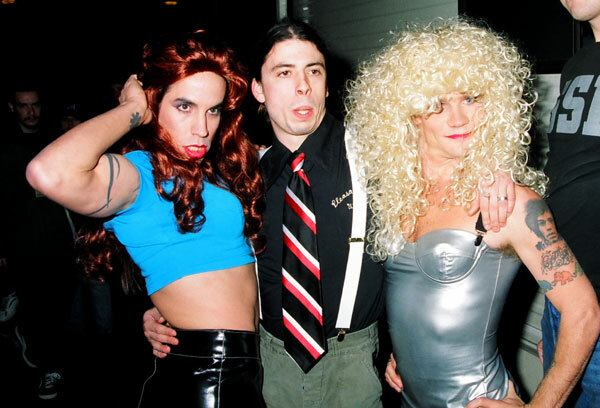 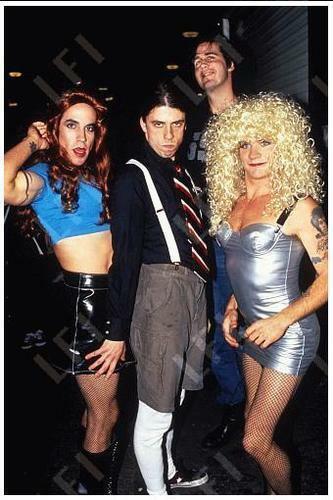 Most famously Kiedis and Flea dressed in drag, with AK wearing a black mini skirt, cropped blue t-shirt top and a long, auburn wig. 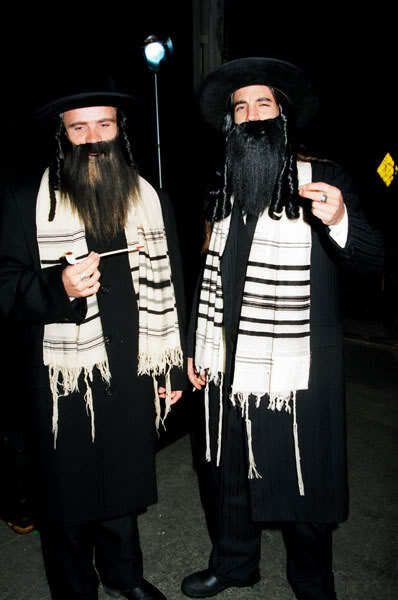 They also dressed up as old men trying to row their way to the concert in a boat and possibly also dressed as Jewish men but this isn’t featured on the video footage available.